Anybody here have any experience buying (and returning) pipes purchased from TobaccoPipes.com? 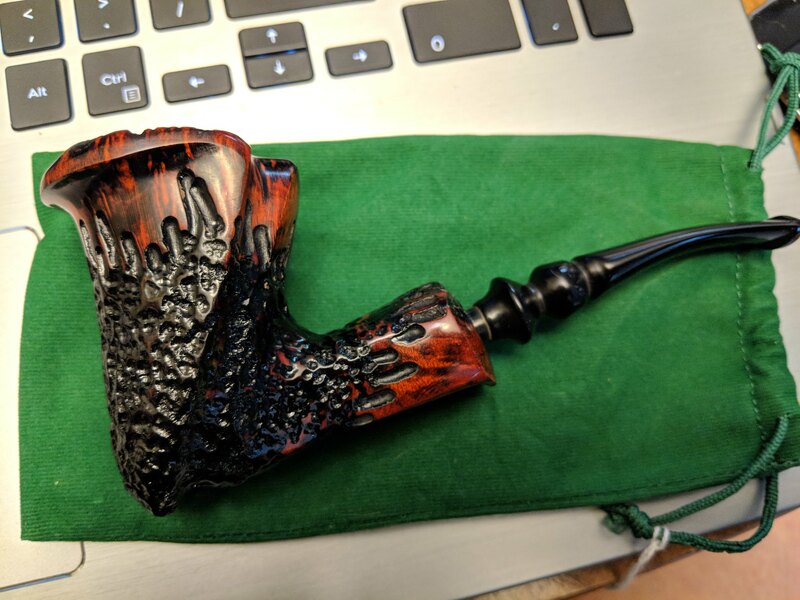 I had a bunch of Amazon credit and I ordered this beautiful Nording Freehand (sold by TobaccoPipes via Amazon), but I'm very disappointed with what I received. 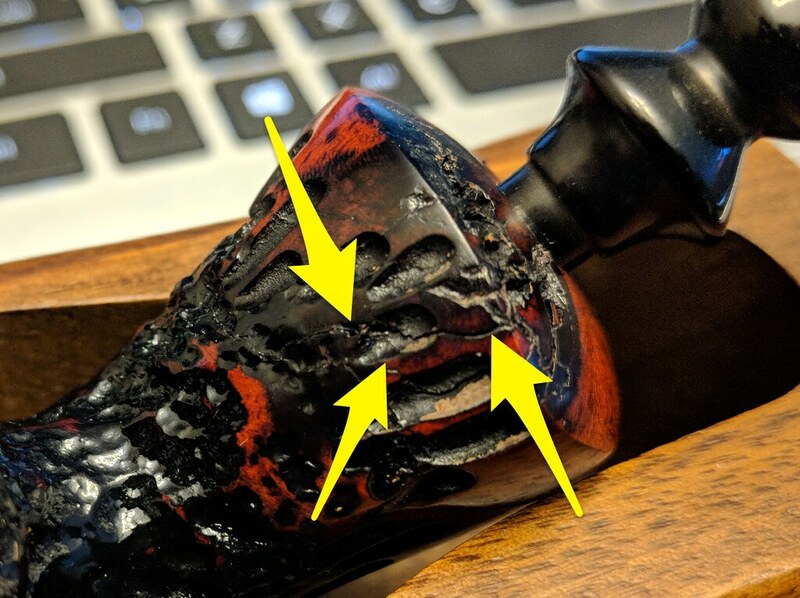 I didn't think that rustication was supposed to include cracks in the shank. These cracks actually extend into the shank/mortise. This was not apparent to me in the photos. I'm concerned about how this may effect the pipe over time - particularly the fit of the tenon into the mortise. I don't think I would have bought this had I seen it in person - looks like something they shouldn't have been selling, IMO. The packaging is fantastic, so I can't attribute this to poor S&H. Am I being paranoid and making a bigger deal of this than it is? Should I just smoke it, or am I right to want to return it? This is my 4th briar pipe, and only the 2nd that I've bought online, so I'm not highly experienced at this. Seems like shenanigans to me. But, I do take medication to make sure I don't stab random people in the head with a Taco Bell spork. 26 months, 18 days without an "incident" so, there's that. Yeah, I'd return the pipe. They shouldn't balk at that at all. 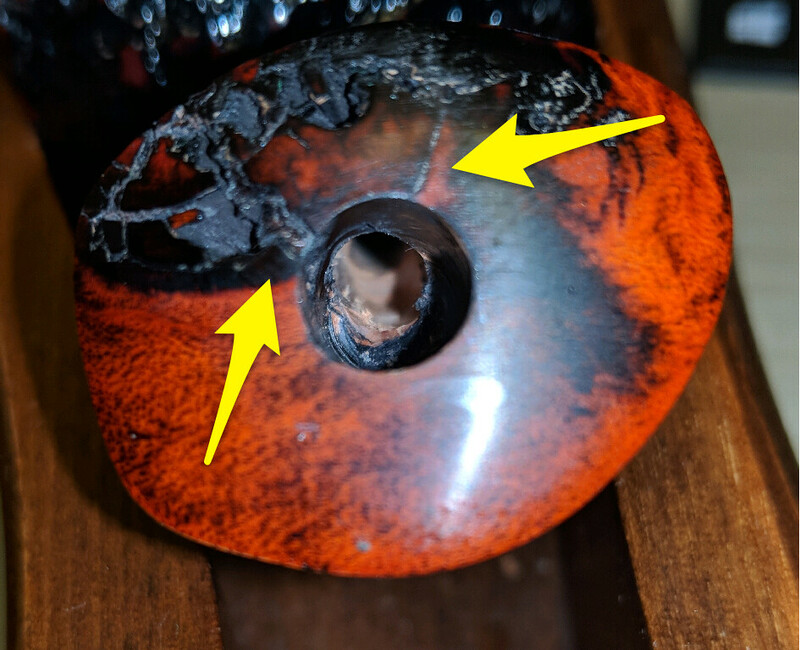 Never saw anything like that on a new pipe before. At least if I'm seeing what I think I'm seeing. A little surprised Nording let it out the door. I would be asking for an exchange. I've a Nording that's one of my favorites. The only issue I see here is that that's an ugly pipe. Contact the seller. They'll most likely take it back. Easy peasy. FredS wrote: The only issue I see here is that that's an ugly pipe. Beauty is subjective, and I LOVE the look of the pipe, which makes it all the more disappointing that I have to return it, as it's a unique piece. No option for a swap that is virtually identical as would be the case with other factory pipes. 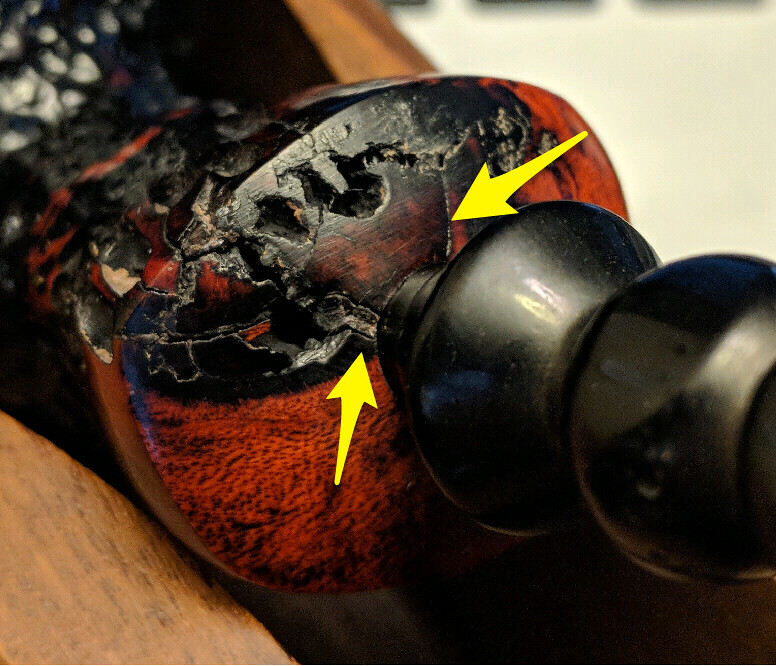 So what happened with this pipe? Did you end up returning it or just smoking it? From what I can see, there were obvious flaws pretty deep in the briar from the start. It looks like maybe they used a fill in the cracks? Depending on what you use for fill, cracks can be stabilized pretty effectively, but that still should have been disclosed from the start. It's a pity, as that's a really cool looking pipe. But with a flaw like that, it should have been sold at a deep discount as a "second," if at all. I ended up returning it to the seller, then I bought a Savinelli Oceano 311 (poker) instead. I still really want a danish freehand, but it has to be the right one - not just any will do. I don't think that particular pipe should have been sold. As a Newbie I bought a freehand Nørding pipe. I remember it was $75.00 back in 2003 or so. It was a really nice pipe and I was quite proud of it's freehand shape and colour. In any case, it too, had a crack in the shank right where the stem fits into the mortise. I was disappointed by it, but didn't know enough about pipes. I was able to smoke the pipe and stuff, but it remained on the back burner with my other pipes out front. Sorry to hear of your pipes exhibiting the same issue. The stem on an Oceano series pipe is not at all transparent, but I do think it is quite pretty nonetheless.